COUPONING LEADS TO FREE STUFF !! Okay , I am hooked on couponing, again. Yeah! A few weeks ago I started cutting coupons out of the local papers. But I have found in my research is that there are a lot more printable coupons out there that have higher values. Another place I have scored free samples is facebook. A few weeks ago they had a free sample of a box of GREEN MOUNTAIN HOT CHOCOLATE K CUPS. All you had to do was like them on facebook. I got my free box yesterday. I also send emails to companies I love and ask if they have coupons. I have never been turned down yet. I have fun everyday checking to see what I got for free this week. This past week I have not been able to do to much because I torn a muscle in my upper leg. People have said this hurts more than a break. I never broke anything. thank goodness, so I have nothing to compare it to. Update on Bobo's and Sissy's room do overs . We got the PRINCESS DECALS in the mail but the THOMAS THE TRAIN DECALS are still on their way. The kids are getting all excited. Mommy got Bobo a new clock for his room that looks like a real tire. Sissy has a DISNEY CLOCK for her room. THE BENEFITS OF BUYING A LARGER HAM OR TURKEY ANYTIME OF THE YEAR ! One way that I always used to save money on groceries, when my children were all home, and I hope my children including Mommy are practicing, was then and still is purchasing a larger ham or a larger turkey than you need even on a regular weekly grocery shopping trip . Why do some people believe that you have to wait for a holiday or a special occasion to cook these economical main dishes? In the cold of the winter I love to put a ham or a turkey in the oven. It is so comforting to smell and to feel the warmth coming from the oven. Then the leftovers, making me hungry just thinking about them. The ham sandwiches for work the next day and a recipe my mother still loves to cook , creamed ham and egg on toast. We all loved this as a brunch or even a supper with a can of peas on the side or in the tasty mixture. The turkey also in great sandwiches the next day. The memories of turkey salad and leftover turkey as a great main dish with other leftovers. The average cost of a steak or roast is more or about the same as these 2 items until you factor in the leftovers they produce! I think I will go out this weekend and get one of these to cook the first cold day next week. I really cannot wait! Do you also believe in this practice and what are some of your ideas to use leftovers ? Wow , I was given the opportunity to read and review SATAN'S KINGDOM BY AMY MCGRATH for www.dorrancereviewteam.blogspot.com. I have always loved to read historical novels since I was a teenager and this was just the kind of book I love. It is the story of 2 women, Isobel who is a Countess from France , and the other Jenny who is a convict from England.They both embark on a new world to a faraway Sidney, a small British Colony to escape the horrors of the French Revolution. Their destinies converge when they both meet and suffer under ex-Captain John Macarthur.Even through their lives being different they both suffer arranged marriages, the changing of laws and bad economic times. The N.S.W Corps was fomented by Reverend Marsden, which in turn resulted in the 2 years as a republic rule with a tyrant in charge. This was a result of the arrest of Governor Bligh in 1808 and his imprisonment.This time was called SATAN'S KINGDOM. Isobel is made to marry the man who rapes her by both of their families. Jenny is forced to see the horror of other women being flogged and forced to give birth while being brought by ship to the place they that will serve out their sentences. It was a man's world and they both had to suffer for it everyday. Ms. McGrath brings the reader through a time of everyone for themselves in a violent time in the history of Sydney. This book certainly shows the author's knowledge of this time.It was very interesting to read. I was provided a copy to review with no other compensation and all opinions are my own. Okay , so I guess I am a Nana who is just a pushover. It is very hard to keep Bobo and Sissy occupied because all they are interested in these days are Thomas the Train and Disney Princesses. If you have read earlier I wrote about decorating their rooms. Today I thought of something we are going to try tomorrow. We are going to get a small tub of soapy water and a toothbrush and wash all of our trains like they do on the Island of Sodor. I think we will have fun but of course we are going to make a mess. Mommy can clean up. There is still time to get Christmas clearance markdown items in different stores. Yesterday Mommy went to BIG Y to get the eggs that we on sale and she found PILLSBURY REFRIGERATED DOUGH GINGERBREAD KIND marked down to $1.00 each. Mommy remembered that she had a coupon for $1.00 off 2. She bought 6 and ended up paying $3.00. I guess we are going to make a lot of gingerbread cookies and freeze them. GREAT DEALS AT BIG Y THIS WEEK! DECORATING ! Today I went to BIG Y to get medium eggs for $.97 a dozen. I looked at the expiration date and it was the beginning of March. I decided to get 4 dozen. Eggs around here lately have been really expensive. Then I took a coupon I had for $.50 off of a 32 ounce carton of their own Half and Half. The price was $2.58. I got this for $2.08. I have to tell you that I have been sending emails to companies that have foods that I really love. All of the companies have sent me some really wonderful coupons that have saved me a lot of money. When I go to the mailbox I can't wait to see what I got! This is something that anyone who uses coupons should take the time to do. We have begun working on doing over Bobo's and Sissy's rooms. They have decided (guess what? ), Sissy wants Disney Princesses and Bobo wants Thomas the Train. Everyone is really getting into the excitement. We cannot wait to see the finished products. HOW NICE IT IS TO HAVE A STOCKPILE WHEN IT SNOWS AND BAKING YOUR OWN BREAD ON SNOW DAYS! Well it finally looks like we may be getting a little more than a dusting of snow this weekend. We really have not seen much of any since Storm Irene in the beginning of November. When the weatherman starts to talk about snow, I laugh when I see the people running around trying to stock up on food. This is one of the times I am very proud to know that I have created a stockpile. I used to have a much larger one than I do now, but after losing my whole refrigerator and freezer twice within a few months of each other I have been a little timid about filling the freezer again. So, I have been watching the sales and stocking up on the best sales each week. I always told my children , Mommy, her brother and 2 sisters, one being http://www.dealsharingaunt.blogspot.com/ that as long as you have bread , eggs and milk you can make quite a few meals from these 3 items. YEH ! BOBO IS STUDENT OF THE WEEK ! Oh my gosh !!! Bobo was chosen as Student of the Week at school for this week. We are all excited and proud. This brings back all of the memories when Mommy and her brother and sisters including www.dealsharingaunt.blogspot.com were little. We have to fill out a biography and send pictures in. This is a great program at his school and it really is great for the kids. After all the bad things we are hearing about in schools lately, it's about time we hear something good for a change. TRYING TO KEEP MY COUPON PROMISES MYSELF ! I started this year off by promising myself that I would look for coupons wherever I could and then I WOULD use them! A lot of times I would get the paper cut the coupon out and then leave them at home, or, I would download the coupon and then do the same. So, this year so far I have been doing really well with keeping up with my promise to myself. I also started looking up the websites of the products I love and use most often and started sending them quick emails to ask if they have coupons they send people. I have got to tell you that it has been like my birthday everyday in the mailbox. I never know what I will get it the mail that day. I am having a great time and saving money, too ! Did I tell you lately that I am totally in love with my crock pot? Well, I guess I can tell you again! Now when I go to the store I look for beef roasts, chicken pieces or pork ribs and shoulders on sale that week. I love throwing them in the pot and just doing what I want until it's ready. 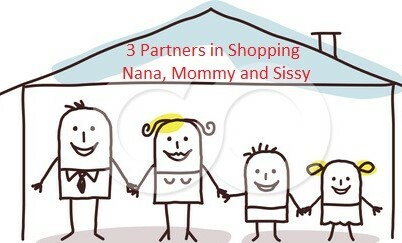 Today is Mommys little sister www.dealsharingaunt.blogspot.com birthday. She is 30 years old. She wants to go to bingo tonight. Maybe we will go. CHABONI GREEK YOGURT REVIEW ! YUM YUM !! I am in heaven! The wonderful people who make ALL NATURAL ONLY NATURAL INGREDIENT CHOBANI GREEK YOGURT sent me a box of their different flavors of their yogurt to try. My family immediately started to fight over which flavor they wanted to eat first. The flavors are to die for, peach, pomegranate,black cherry,lemon,strawberry and more. Every single cup was filled with delicious thick creamy yogurt, without the guilt! The plain flavor is great when you want to add a favorite flavor or fruit of your own. These are something that my grandchildren and myself love to eat on the go or in a hurry. We even like them as a great healthy snack. Another thing I must mention if you are lucky enough like me, to live near a SHOP RITE they are on sale this week for $1.00 each. I know I will be heading over there bright and early to get my favorite flavors! 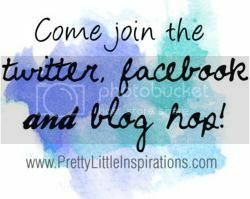 THE ACCIDENTAL BRIDE BY DENISE HUNTER BOOK REVIEW ! I cannot begin to tell you how much I loved THE ACCIDENTAL BRIDE BY DENISE HUNTER ! This is the beautiful story of a cowgirl running her own ranch, Shay Brandenbeger raising her daughter and trying to get over being jilted at the altar by cowboy Travis Mccoy her high-school sweetheart. The small town she lives in has a Founder's Day wedding reenactment each year. She has agreed to play the bride in the wedding reenactment and the elderly dress shop owner has decided that the man who was supposed to be the groom has been replaced by non other than you guessed it Travis Mccoy! Then the most unimaginable thing happens, Travis finds out that because of an unorganized preacher and a busybody they find themselves in a real marriage. Travis finds out that she is in danger of losing her home so he makes up a way to help her. She has a hard choice that she needs to make. If she accepts his help she will b able to keep her home. But, if she does say yes can she deal with her feelings that she still after 14 years is having all over again? She cannot figure out if this is really God's will or just a mistake. She has to find out if this is truly an accident or is this the way it was supposed to really happen ? I didn't want to finish the book, I enjoyed every minute that I read it! I received this book by WWW.BOOKSNEEZE.COM for a review with no other compensation. The opinions are all my own.